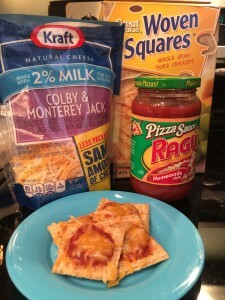 Pizza snack- quick an easy! 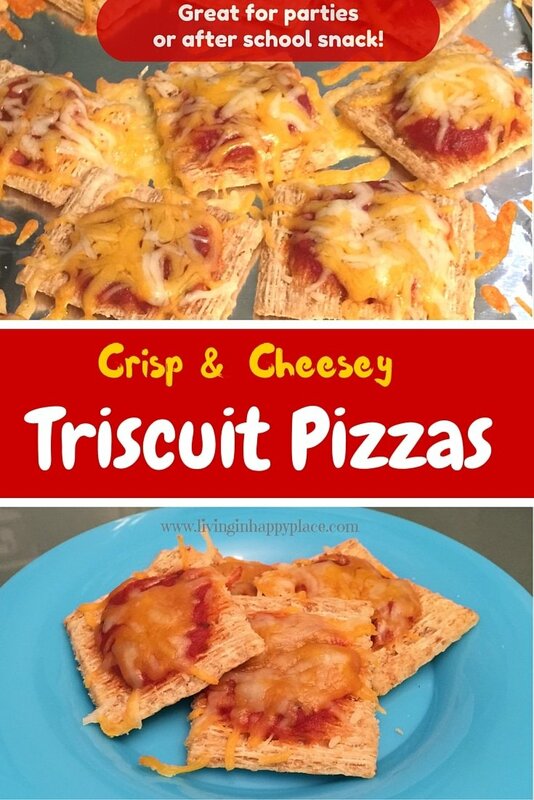 Triscuit Pizza! 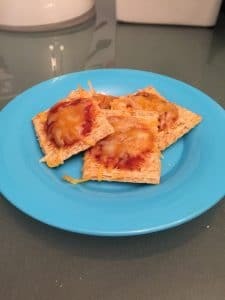 A quick and easy snack! Preheat oven to 250 degrees. Place crackers in a single layer on a baking sheet (I cover the tray with foil for easy clean up). 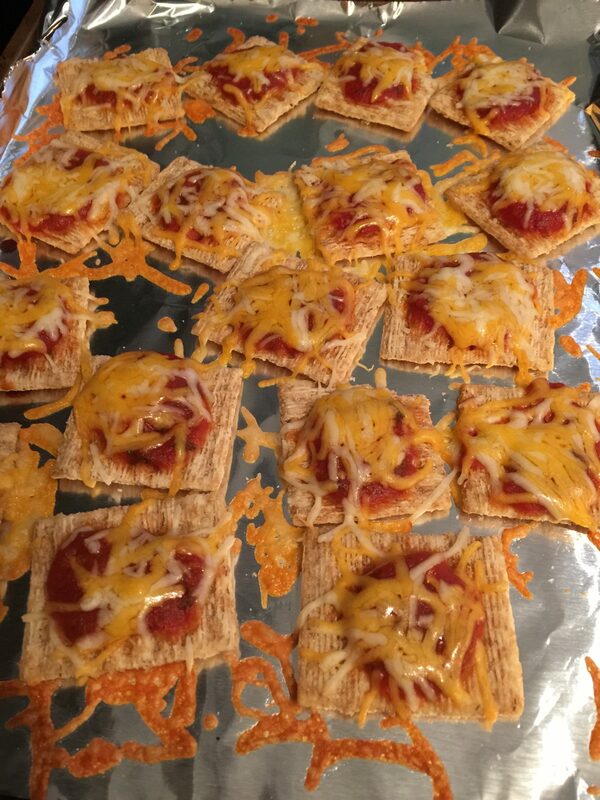 Spoon pizza sauce on each cracker (probably about a teaspoon full- just enough to cover the cracker). Top with your favorite shredded cheese. Bake in the oven for about 8 minutes- just long enough to melt the cheese. (Keep a watchful eye!) Remove from the oven and allow to cool. Keep a close eye while in the oven! The cheese melts pretty quickly! That’s it. Ten minutes total. You know I love quick and easy! You can add your favorite pizza toppings to customize (some toppings will probably need to be precooked since these crackers are really only heated a few minutes). I admit this is not one of my healthier shares (sorry!) but it can be made healthier using pureed tomatoes with Italian seasonings, low fat cheese, and some healthy veggie toppings. Triscuit even makes healthier versions of their crackers now (such as reduced fat and brown rice). Quick, easy, delicious, and holds them over until dinner! Bet you can’t eat just one! 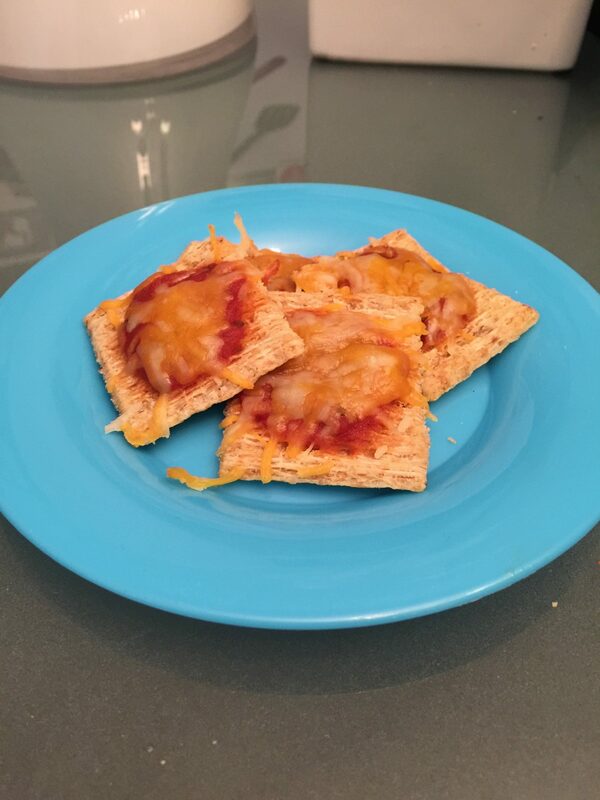 Did you have a favorite snack recipe when you were young? Something that takes you back to the HappyPlace of youth? 😉 Please comment and share!! These look like something my mom would eat! She loves Triscuits. I remember her eating them a lot when I still lived with her. Awesome! I bet she would love these- they are so easy to make and I can never eat one (or two, or three..lol). 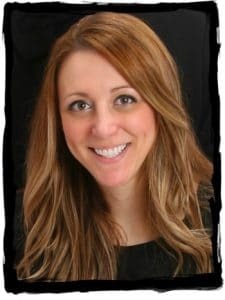 I hope you get a chance to make them!